The importance of meta descriptions should never be overlooked. According to Google, the goal of the snippet and title is to best represent and describe each result and explain how it relates to the user’s query. 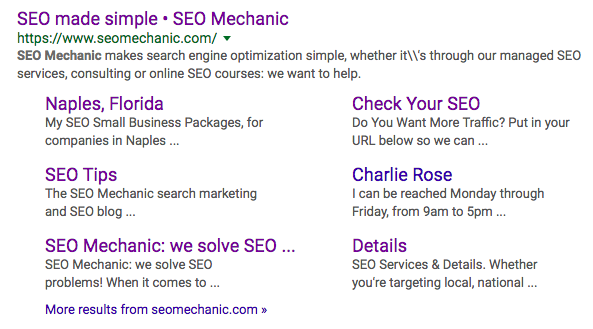 Although Google admits to not always using the meta description as a part of their rankings algorithm, they do still support meta descriptions and include them as snippets in search results. 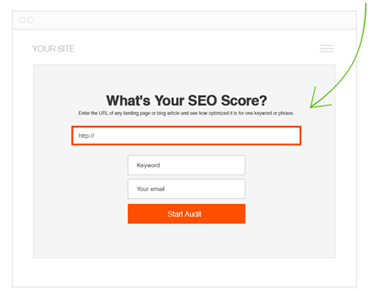 The point of a meta description for your page is to get Google visitors to click your link. In other words, meta descriptions entice people to click on your link from search engines and improve your click-through-rate (CTR). A meta description is used to provide an explanation of the content of a web page. For this reason, it should be accurate and concise. A meta description typically appears on a search engine result page, giving people a better idea of what the content is about. The words you choose will have a lot to do with whether or not somebody clicks through. Depending on the search engine, SERP’s have a different look and feel. So keep that in mind when you go to optimize your meta descriptions. Sites like Google have a tendency to include more clickable real estate than sites like Yahoo and DuckDuckGo. As you can see sites like Bing pull in more user rich data from outside sites like Yelp. So keep that in mind when you are making changes. And if any of the displayed information is outdated make sure to update it. Although search engines say meta descriptions don’t have a direct impact on search engine rankings, they are an important aspect in driving traffic to your website. Clickthrough rate (CTR) can be used by Google to gauge how well your keywords and web pages are performing. Important Tip: Think about meta descriptions as an advertisement for your website. The meta description should be relevant to the web page. The meta description should be unique (don’t use the same format for every web page). The meta description can be any length, but Google generally truncates snippets ~320 characters (this limit increased in December 2017). 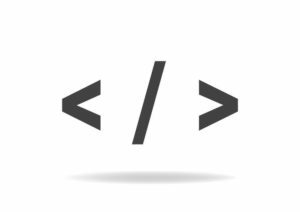 What’s so hard about creating meta descriptions? Include a call-to-action: Don’t write the same description for every page. Take time to customize it like it was ad copy. Include structured content: Savvy people can even embed short codes to automatically populate the page or product with the SKU code, pricing or primary category. Contain the focus keyword: Including the primary topic of the article in the meta descrition can help to improve your CTR. No longer than 320 characters: If you exceed this maximum, your description will be cut short. Every meta description should be unique: Avoid the temptation to be lazy and use the same text on every page. Meta descriptions are not part of Google’s ranking algorithm. Brand your titles: Consistently include your site name at the beginning or end of each page. Avoid keyword stuffing: It’s helpful to have the keyword in the title but avoid repeating it multiple times. If you have specific landing pages that generate a good amount of organic traffic, consider testing different meta descriptions to see if you generate a lift in click-throughs from search engines. Mix up different description lengths, calls-to-action and keyword positioning. Our web search (the well-known search at Google.com that hundreds of millions of people use each day) disregards keyword metatags completely. They simply don’t have any effect in our search ranking at present. If Google thinks it can give the user a better description of the page, than Google might possibly pull together separate meta description and title than what you had intended. They are like a pitch that convince the user that the page is exactly what they’re looking for. If you are using WordPress on a self-hosted domain, you are in luck. Meta descriptions can be easily added to your content using simple (and free) plugins such as Yoast SEO. Other themes and platforms like Squarespace and Wix have SEO options built in – if not, do a search for your website’s platform and SEO plugin, add-on, or extension. Although Google claims meta descriptions don’t impact search engine rankings, they are still important to your website from an on-site SEO point of view. If you don’t put the necessary time and effort into your meta descriptions, you’ll find that search visitors don’t click through to your site as often as you would like. Now that you understand the finer details of meta descriptions, you should understand the importance of providing the right text for each web page. Once you know what does and doesn’t work for your site, you’ll find it easier to create compelling meta descriptions that improve the search experience and boost your click through rate. I am an SEO novice. I have been optimizing my website since about March 1,2017, all original content, I am about 70% complete. My product descriptions include a list of parts, pieces and specs, how important is making manufacturers listings of such original content? The best I can do, I believe is to change the order of of the list. I do change what I can, such as if a lead in says “all of our products are wrapped in waterproof orange cellophane.” I may restate it as “items in this kit are securely packaged in a clear waterproof protective wrap.” Not the best example, but that’s the idea. I have been reading articles on your website all morning since I found it searching for simply SEO. Thanks, there is a mountain of good advice here. My Blog is super new.like a day old.I am scanning the web to find SEO tools to optimize my site.Thanks for this blog post. i will submit my site map tp google Asap when i generate one. Thanks for your comment! Congrats on your new website launch! That being said it takes some time for your website to make it into search results. If you have time check out our SEO Learning Center for tips. Thanks a lot. I have actually implemented some seo work on my blog, but sometimes i get lazy over the whole blogging and seo thing. Great! Glad these seo tips are helpful. Check out my most recent post, beginners guide to seo. This Blog is an excellent help to all the newbies who are venturing to the SEO community and building their knowledge. Thanks for reading and comment on this meta descriptions blog. Glad these meta tips could help you. Google is continuously updating its algorithm and Meta description is one of them. For a long time, Google was showing 160 character meta title & suddenly, Google started showing 320 Character. The funny part is Google is confused about the Meta Title. By the way, thank you for this guide.